A simple yet tangy blend perfect for those who are traditional but seek something greater. 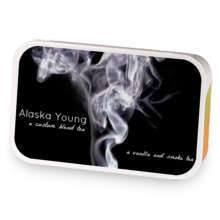 Inspired by John Green&apos;s book Looking for Alaska, which I am no way affiliated with. Pudge Halter has hooked up with Alaska Young. Love Pudge Halter? This is just one of 4 teas in this fandom. Check out the whole series.